Ideally, all site owners should spend some time every single month working on their SEO – adding fresh content to their website, working on their link profile, and optimising things like images so that they have the best possible foundation for their off-site optimisation. Unfortunately, a lot of businesses don’t have the time and internal resources to dedicate to SEO, so websites can gradually get larger and less SEO-friendly as time goes on. 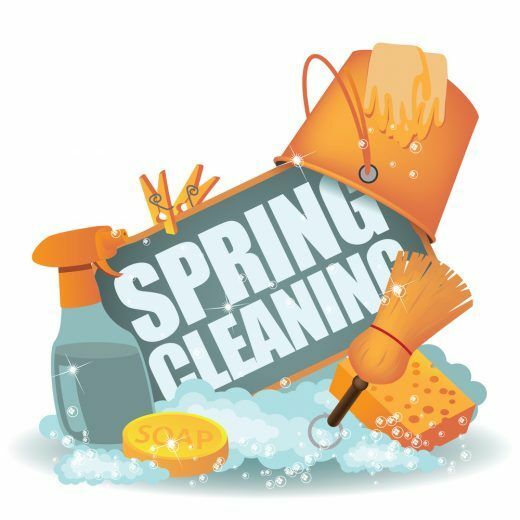 Even if you don’t have a monthly SEO budget to spend on an internal resource or external agency, you could give your website a boost with a spring clean. This would remove the major barriers to good rankings and make sure that your site is still streamlined for usability. Here’s what we recommend if you’d like to make some quick changes. Duplicate content issues can severely impair your SEO. If you’ve duplicated content within your site, it’ll hamper your user experience. If you’ve copied content from another site, Google will see no reason for that page to rank since it isn’t unique or valuable. Get rid of your duplicate content or – if you really can’t remove it – set up some canonical URLs to let Google know which pages you want to rank. A lot of people are concerned with pleasing Google when it comes to SEO, but Google just wants to deliver the best results to users so you’d be better off thinking about the end-user straight away. If your navigation is confusing, doesn’t include key terms, or doesn’t have a natural flow through the website you could be hampering your SEO and your conversions. Good site architecture has a huge impact on rankings and user experience – we have moved websites from the 5th/6th page of Google to the first just by re-organising their architecture and navigation. If you’re looking to make improvements in this area, it always pays to have an expert review your plans to find out whether there are any gaps. It’s essential that your items are grouped logically and the navigation allows users to find the most popular pages quickly and easily. Are your pages thin on content? That could be a major barrier to ranking. We often hear clients tell us that they don’t want a website that’s ‘too wordy’, but that often means that you just can’t rank well unless you’re pulling in a huge volume of links from reputable sources. There is no magic number that SEO experts agree on for content, but we’ve seen better success for pages with at least 300 words. Ultimately, you need to make sure that your content isn’t automatically generated, from thin affiliate pages, scraped from other sources, or created as a doorway page. That’s the specific list that Google gives when discussing thin content. If you’d like to find out more about how long your pages should be, this study from Quicksprout is interesting – top ranking pages are far longer than people expect. But remember that longer isn’t necessarily better – your content also needs to be unique, valuable, and respond to user needs. If somebody hasn’t specifically sat down and looked through all of your meta data, it’s likely that your site is relying on auto-generated meta titles and descriptions to create a positive search appearance and let Google know what your pages are about. Luckily, meta descriptions aren’t a major ranking factor any more but they can affect your click through rate on Google’s search results. Meta titles are still important when it comes to SEO so it’s best to write these separately for each page so that you’re clearly showing what each page is about. Good SEO is made up of a lot of building blocks, including the quality of your content, the structure of your site, the images on your site (and how they’re optimised), the site’s reputation, and inbound links. While these quick updates won’t give you 100% fantastic SEO, it’s a good way to make fast improvements to your site and make sure that your users can find what they’re looking for (to improve your engagement and conversions as well! ).